You are dreaming of a destination wedding. The one that combines exquisite romance with a hint of mystery. Or maybe it’s memory…something you cannot quite put your finger on, but you sense its presence. Paris? Lovely, but no. Vienna, perhaps? A waltz? No, not quite right. And then, it is there and you know that no other place can possibly be more perfect, more enchanting. Venice. If you choose Venice for your destination wedding, you and your guests will find yourselves on a perfect, ornate film set of a bygone age, surrounded by water. The city’s alluring physical environment, coupled with its extraordinary art and architecture, and its rich, luxurious, indeed decadent history make it truly unique in the world. Truly, there is no place like Venice. Ghosts, gondoliers and masked revelers alike will beckon you in the labyrinthine maze of streets, canals and canalettos, and take you back to a city that once – for more than 1,000 years – stood at the commercial center of the world. The Grand Canal, Rialto Bridge and San Marco square are fabulous but we always enjoy get lost in that city and catch the mood. And every time is different and extraordinary. As photographers, we love doing engagement sessions or weddings in Venice. And as funny as this sounds, there is never a clicheed shot from Venice. It is magical. 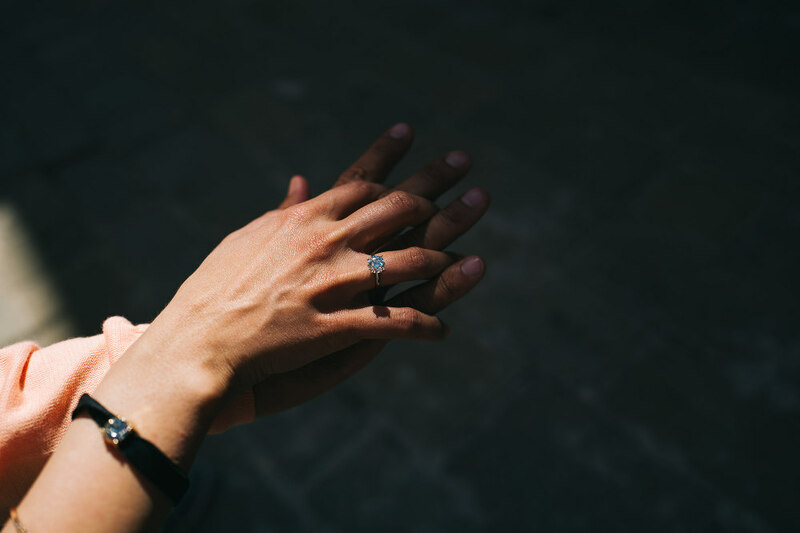 No such thing as “bride, groom, canal, gondolier, done!” We walk with you, we allow ourselves to get lost, seduced by the city’s charms, and find the right place, the perfect place, your place, your photo. 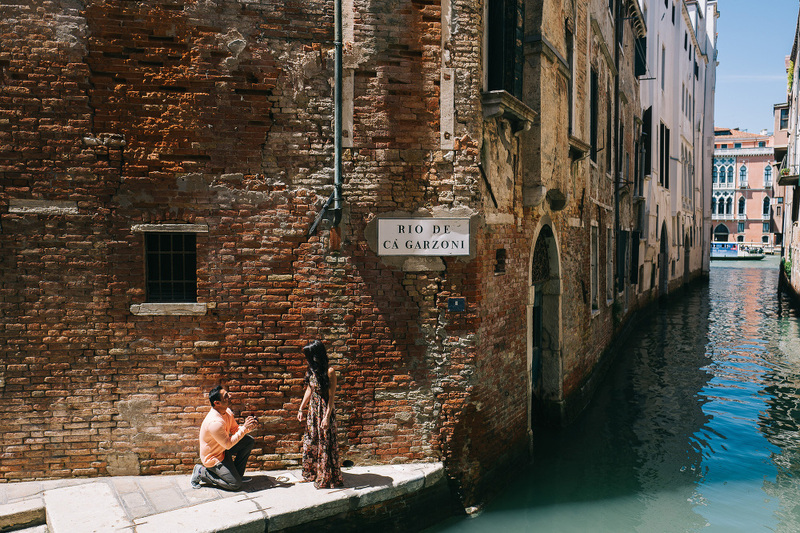 Venice is logistically practical for destination weddings, as well. It is very easy to reach by plane or by train, and it offers luxury and quality hotels in every price range. Lucrezia, my studio partner, and I are especially proud to work in our native Italy. We are lucky to be able to travel the world for our work, especially in Europe, Africa and Australia, and we find the beauty in every locale. But, with hand on heart, we will admit there is something extra special about working in Italy…and Venice, in particular. Of course, wherever you ask us to be, we will work to create unique images that capture the beauty and the authenticity of your day. Our work is organic and natural. We do not have a formula – such as, We take this many photos of the bridal party and this many of the guests and no more than three of the cake and the first dance. That is not us. We are visual storytellers. What we work to do is capture those moments of romance, delight, joy and even the bittersweet moments of perhaps remembering those who couldn’t be there for a couple in love. We will present you with photos that make you smile – and maybe also make you tear up — and capture things you might not even remember but delight in seeing. We hope that we will hear from you. Please note that we are a small, exclusive studio. As a result, we are limited in the number of clients we are able to take on.